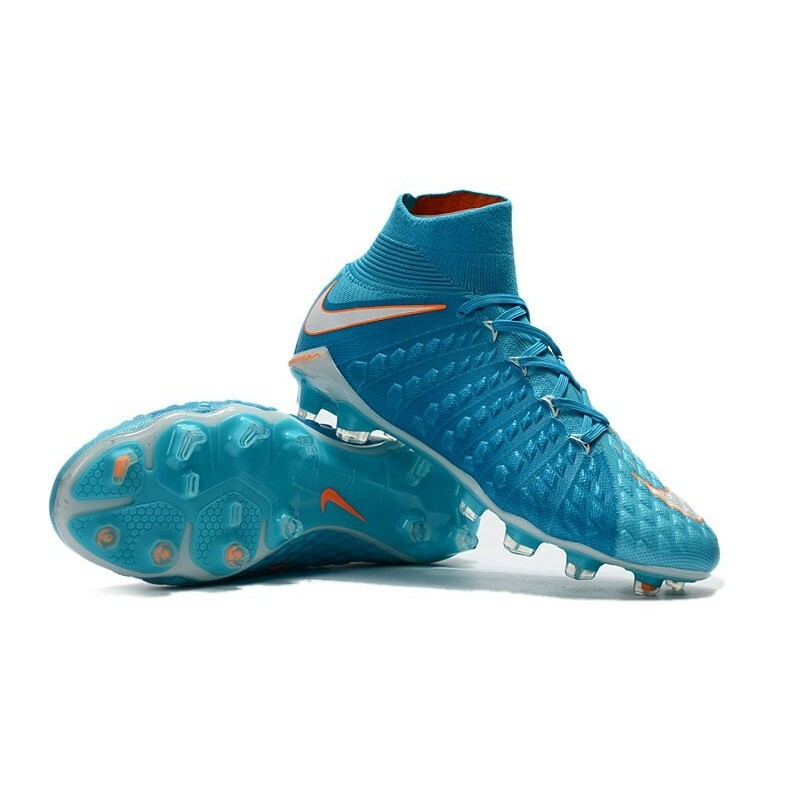 In order to take it to another level, every piece of the Hypervenom Phantom III boot has been inspected and modified to suit an attack minded mold. 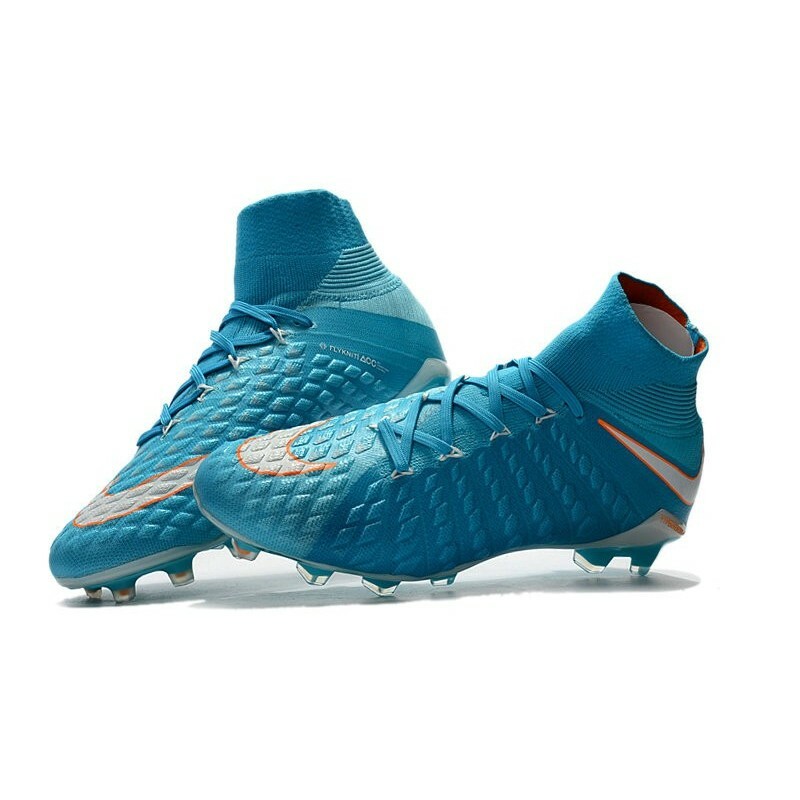 Hypervenom Phantom 3 is made from a single piece of Flyknit, which allows the boot to be both incredibly light yet extremely durable. 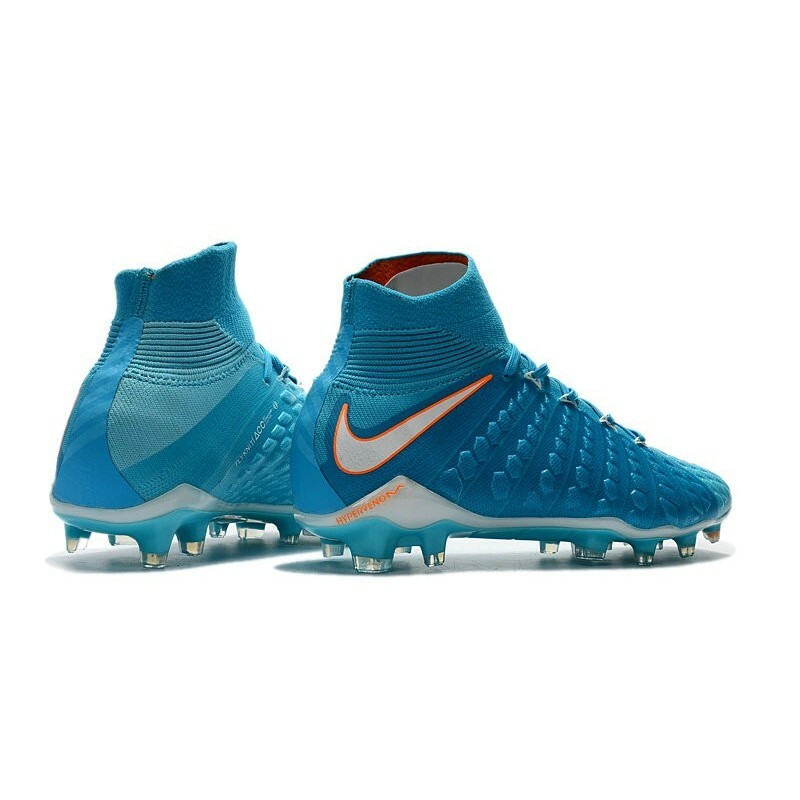 Flywire on the sides for a personalized fit. 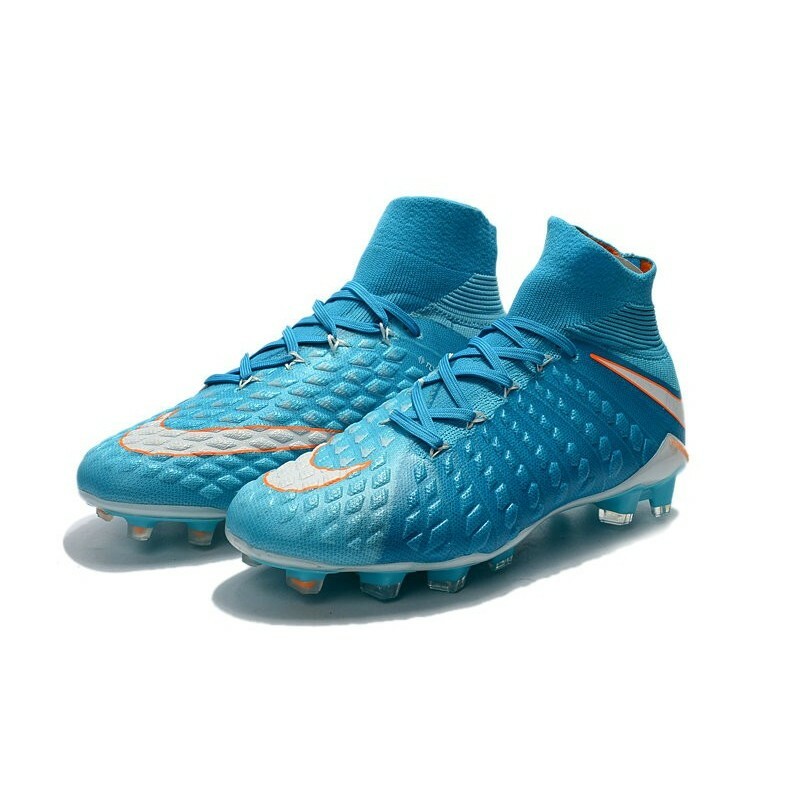 Tongueless design helps reduce distractions Asymmetrical lacing system expands the ball control area and strike zone. 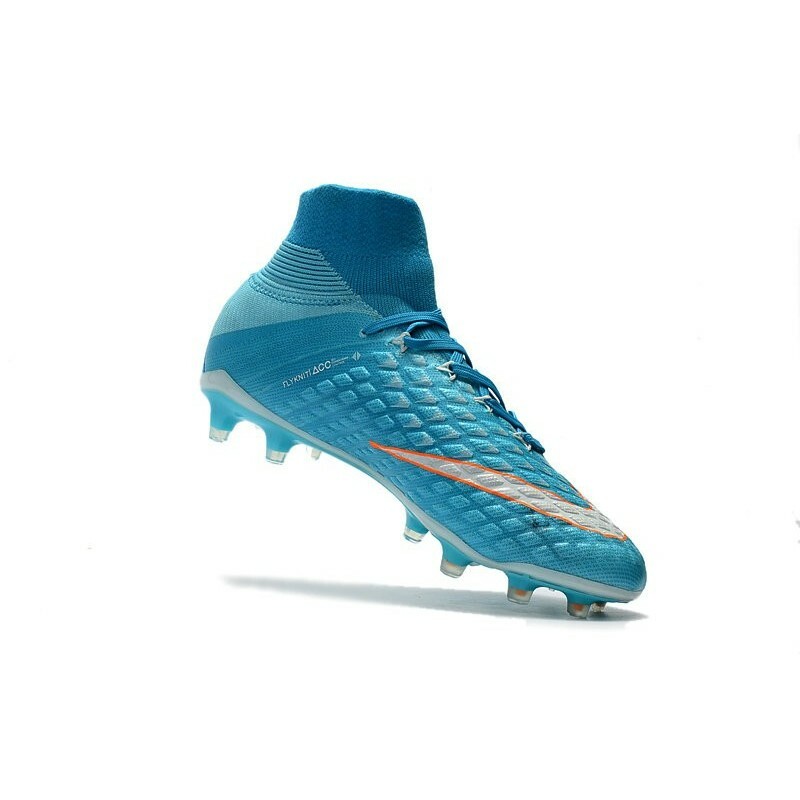 The strike zone features PORON foam pods which harden on impact to create a firmer and more responsive shot. 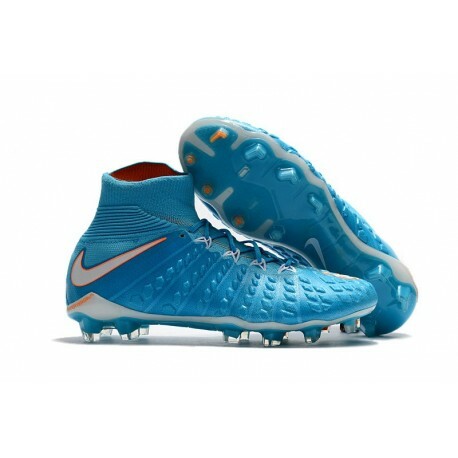 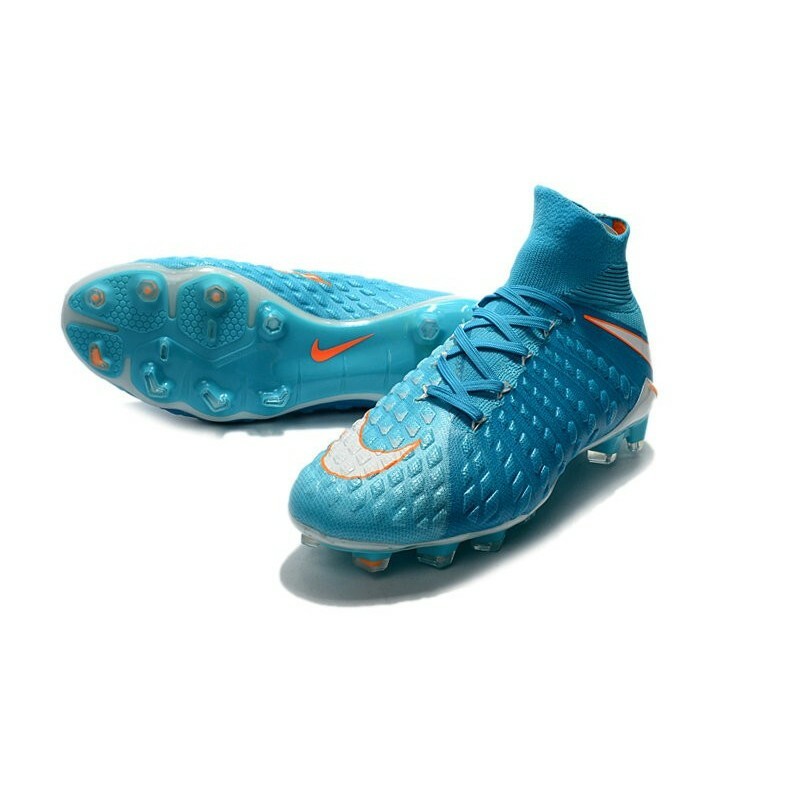 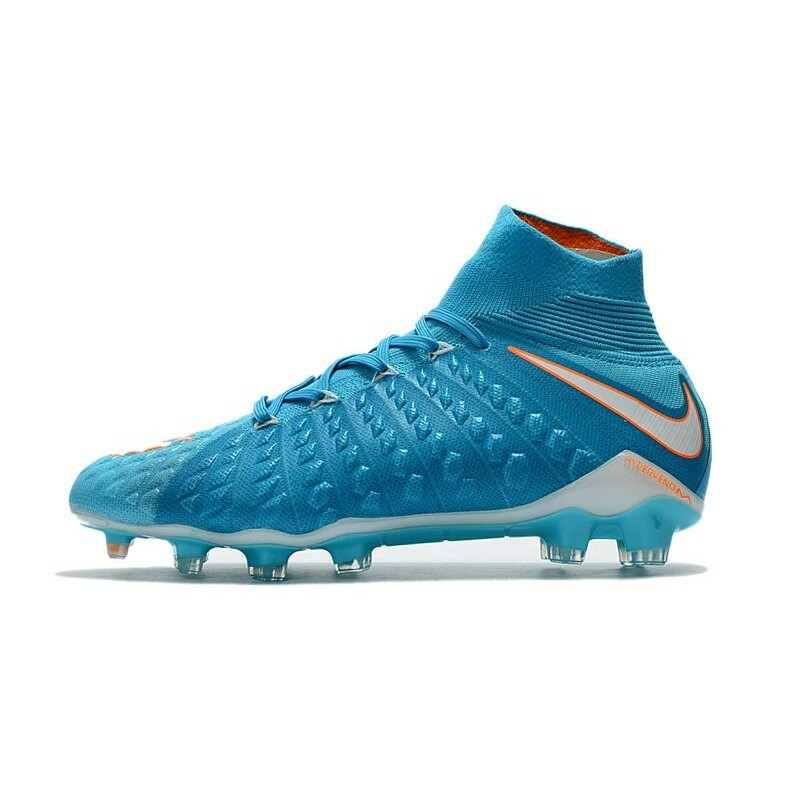 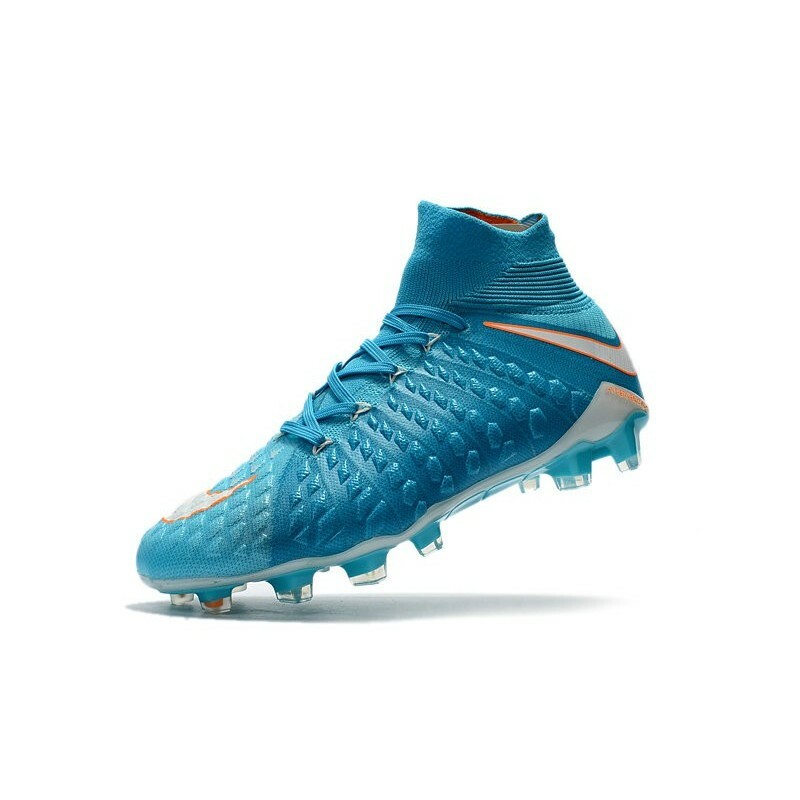 The nike high top soccer cleats new hybrid soleplate pushes the boundaries of flexibility, featuring chevron and hexogonal studs for targeted traction and agility in attack.